Trigeminal neuralgia is a facial condition described as an excruciating bolt of pain that’s triggered by even the slightest sensation on your face. 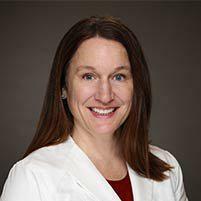 Dr. Carrie Shulman at The Florida Center for Minimally Invasive Neurosurgery understands the severity of your pain and works closely with you to find medical options when possible, and to perform surgery when needed to relieve your pain. To learn more about trigeminal neuralgia, call the office in Clearwater, Tampa Bay, Florida, or book an appointment online. Trigeminal neuralgia, or tic douloureux, is a facial pain condition that affects your trigeminal nerve. This nerve is responsible for transmitting sensations from your mouth, teeth, face, and nasal cavity to your brain. It also controls the muscles you use to chew. Women develop trigeminal neuralgia more often than men. Although it can occur at any age, it typically occurs over the age of 50. You may be at a higher risk if anyone in your family had trigeminal neuralgia, or if you have hypertension or multiple sclerosis. The primary symptom of trigeminal neuralgia is pain — burning, sharp, jabbing, electric-shock pain. The pain occurs on one side of your face and typically involves your lower face and jaw. When the symptoms first start, they may be short and mild. Over time, symptoms progress, becoming long, frequent bouts of extreme, searing pain. Eventually, you may have 12 or more attacks of stabbing pain every hour. Many patients experience facial twitching caused by the pain. Your pain episodes may suddenly go into remission, but it's not permanent, and the pain eventually returns. Treatment for trigeminal neuralgia begins with anticonvulsant medications, which block nerve transmission to alleviate pain. While common analgesics aren’t helpful, tricyclic antidepressants often help with pain relief. Open cranial surgery: Open cranial surgery is performed for patients who have pressure on the trigeminal nerve from a blood vessel. During this surgery, the trigeminal nerve root is exposed, and the blood vessel is moved away from the nerve. The procedure requires opening the skull to access the nerve root. Lesioning procedures: This treatment involves various procedures using heat, glycerol, and other methods to damage the nerve. As a result, the nerve stops transmitting nerve signals, but the effect is temporary, lasting for months to years. If you develop shooting facial pain, call The Florida Center for Minimally Invasive Surgery, or book an appointment online.